If choosing to have a name or message stamped, please leave your information here. 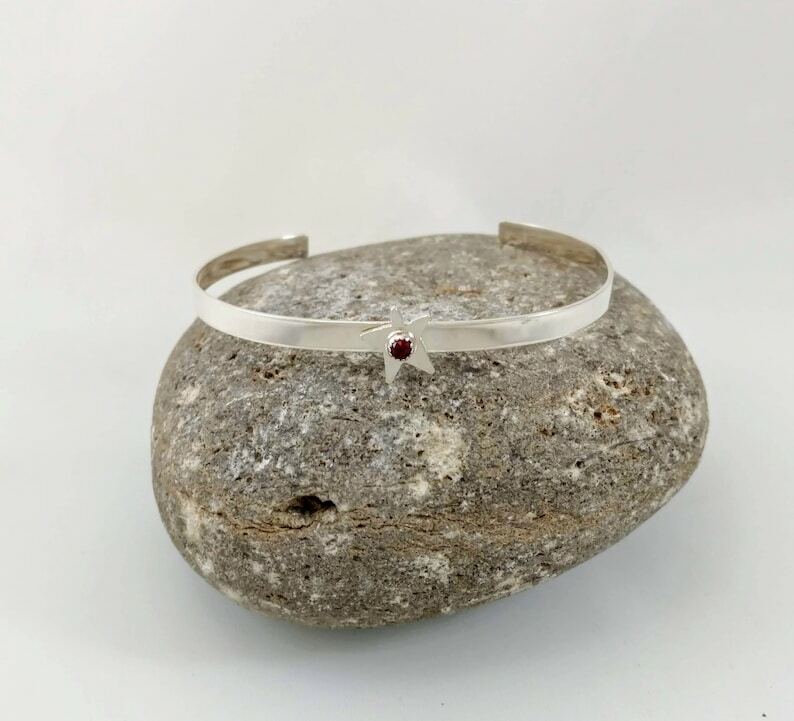 Charming and sure to make a statement, this darling star and garnet silver cuff bracelet tells her that love her to the stars and back. So pretty she will want to wear this bracelet everyday! 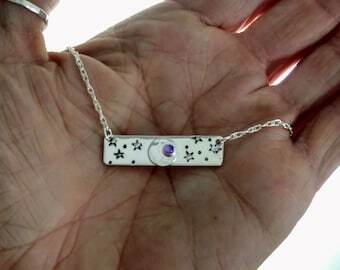 Perfect gift for your wife, a best friend, girlfriend or anyone you love! 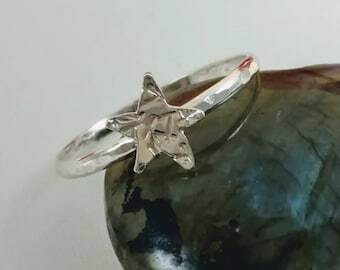 The cuff and star are sterling silver and are hand cut and shaped by me before stamping your custom words on it (if choosing to have bracelet personalized). The garnet is a beautiful deep red color and they are 3 mm rose cut garnet cabochons. 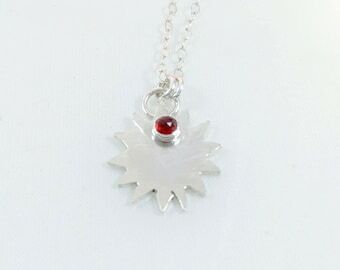 The setting is fine silver and has a lovely serrated edge for detail. 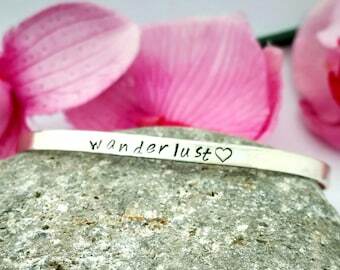 The bracelet measures approximately 1/8 inch tall and 5 (S) or 6 (M) or 7 (L) inches around, leaving about an inch opening. Small should fit a 6 inch wrist, medium a 7 inch wrist and large an 8 inch wrist. Need some help with your bracelet size...simply measure your wrist and add 1/2 an inch for comfort. Then subtract an inch for the cuff size. So if you have a 6 inch wrist, you would add 1/2 an inch = 6 1/2 inches and then subtract 1 inch for 5 1/2 and you would need a small. If you are in between sizes, please order the larger bracelet. It is easy to adjust once it is on your wrist.